Hernández died after being shot by a suspect during the carjacking. 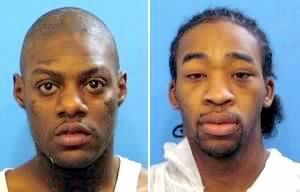 Waukegan, Illinois – On Friday, Kerwin Murry, 22, and Fredrick T. Smith, 23, both who recently moved to Waukegan were charged with first-degree murder in connection with early Thursday’s carjacking and homicide of Carlos Hernández, 44, of Waukegan at the 400 block of Hickory St. The criminal complaint states, that both Murry and Smith spotted a Cadillac with its motor running in a driveway. They forced themselves into the vehicle while armed to steal the auto and took the driver, Hernández with them. Hernández managed to struggle with the suspects and was shot several times in the stomach. The suspects then fled to the Lakeside Tower apartments where one of them lived. Police responded about 6:08 a.m. to a 911 call and found Hernández shot on the sidewalk about two blocks from his driveway. Hernández was able to give a discription of the suspects to police before he died on route to the hospital. Police tracked the suspects to the apartment building where after a seven hour standoff were able to arrest three suspects. Smith was arrested with another suspect in an apartment and Murry attempted to elude police through a ventilation duct where he got stuck and a firefighters rescue team was able to get him out. Police recovered the alleged murder weapon from a nearby dumpster. A third suspect has not been charged pending the outcome of the investigation, according to Waukegan police. State records show, Smith was free on bond for a felony weapons violation in Cook County and Murry was on a juvenile parole for a robbery conviction. U.S. citizens, businesses, and financial institutions prohibited from doing financial and commercial transactions with designated money laundering companies. Washington, D.C. – On Thursday, the U.S. Department of the Treasury’s Office of Foreign Assets Control (OFAC) in a news release confirmed that it designated Lebanese-Colombian nationals Jorge Fadlallah Cheaitelly and Mohamad Zouheir El Khansa as Specially Designated Narcotics Traffickers (SDNTs) due to their significant role in international money laundering activities involving drug trafficking proceeds. OFAC also designated nine other individuals and 28 entities in Colombia, Panama, Lebanon, and Hong Kong with ties to Jorge Cheaitelly and Mohamad El Khansa. OFAC’s designated action was taken under pursuant to the Foreign Narcotics Kingpin Designation Act (Kingpin Act) prohibits U.S. persons from conducting financial or commercial transactions with these entities and individuals and freezes any assets the designees may have under U.S. jurisdiction. Jorge Cheaitelly allegedly runs an extensive money laundering network based in Panama and Colombia with ties to Mexico, Lebanon, and Hong Kong. The OFAC designated act exposes these individuals money laundering network to the international financial system and undermines their ability to launder drug money through a global support network for the Mexican and Colombian drug cartels, according to OFAC Director Adam J. Szubin. Jorge Cheaitelly leads a Panama-based drug trafficking and money laundering organization that stretches across the globe, spanning the Americas, the Middle East, and Hong Kong. OFAC action targets key Colombian members of the Cheaitelly/El Khansa criminal organization, including Cali-based money launderer Jaime Edery Crivosei, Barranquilla-based drug trafficker Benny Issa Fawaz and Maicao-based money launderer Ali Mohamad Saleh. Jorge Cheaitelly’s key financial associates are also targeted, including his siblings, Jaime Fadlallah Cheaitelly, Guiseppe Ali Cheaitelly Saheli, and Fatima Fadlallath Cheaitelly, and two Lebanon-based associates, Fawaz Mohamad Rahall and Ahmed El Khansa. OFAC’s action also targets 28 companies controlled by Jorge Cheaitelly and Mohamad El Khansa and their associates in Panama, Colombia and Hong Kong. Among OFAC’s designations are several money exchange businesses in Panama – Eurocambio, S.A., Euro Exchange Y Financial Commerce, Inc. (a.k.a. 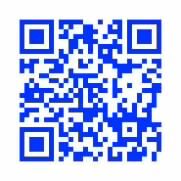 Eurex) and General Commerce Overseas, Inc. ­– as well as Junior International S.A., Global Technology Import & Export, S.A. (GTI), and Fedco Import & Export, S.A., import export businesses located in Panama’s Colon Free Zone that are part of the Cheaitelly/El Khansa financial network. Junior International S.A. is affiliated with the significant Lebanese drug trafficker and money launderer, Ayman Joumaa, who was designated under the Kingpin Act in January 2011. Cheaitelly replaced Ayman company with Joumaa’s brothers who are also designated as narcotics traffickers. Several front companies located in Maicao, Colombia were also designated including electronics stores Bodega Electro Giorgio and Almacen Electro Sony Star, general merchandise businesses Family Fedco and Comercial Globanty, and luggage stores Almacen Batul and Comercial Estilo y Moda. Two businesses controlled by Cali-based money launderer Jaime Edery Crivosei, Agropecuaria La Perla Ltda and KPD S.A., were also designated. OFAC also designated Polyton (Asia) Limited, a company located in Hong Kong, for acting for or on behalf of Guiseppe Ali Cheaitelly Saheli. The Treasury actions in Thursday was made in close coordination with investigations by the Drug Enforcement Administration (DEA), Immigration and Customs Enforcement (ICE) and the New York City Police Department. Milwaukee County District Attorney’s Office filed charges against Alvarado, the alleged driver that struck Milwaukee Police Officer Vrtochnick on Christmas Eve. Milwaukee- On Thursday, the Milwaukee County District Attorney’s Office filed several felony charges against Juan C. Alvarado, 19, of Milwaukee in connection with the Christmas Eve hit-and-run that critically injured Milwaukee Police Officer Frank Vrtochnick, 37. Alvarado was arrested in Illinois on Wednesday by Chicago police. He waived extradition from Illinois and was transported back to Wisconsin. Alvarado arrived in Milwaukee around 4:00 p.m. on Friday to face several felony charges, which includes first-degree reckless injury and reckless endangering safety, according to the criminal complaint. Vrtochnick while in a traffic routine stop was strucked by Alavardo after he went over a curb as he drove on the wrong side of the street. Vrtochnick was accompanied by his partner and was outside the squad on the passenger’s side when he was struck. He remains in critical condition, with serious injuries, numerous scrapes and a broken leg. Alvarado fled the scene and managed to hid his 1998 Chevy Malibu in a garage near S. 15th Street and W. Becher Street. He then went to Chicago to avoid being taken into custody. On Tuesday, Milwaukee police working on a tip were led to the 2000 block of S. 15th St. where they found the Malibu sought in the hit-and-run. On Wednesday, police with a search warrant were able to tow the heavily damaged vehicle for evidence. A rear tail light and the right side of the front windshield were broken consistant with the hit-and-run investigation. Investigators recovered hair, skin, blood, DNA and fingerprints that were found in the Malibu. Vehicle found in the 2000 block of S. 15th St. and the alleged driver, Juan C. Alvarado was taken into custody on Wednesday in Chicago. Milwaukee – On Wednesday, Milwaukee police working on a tip were led around 11:00 a.m. to the 2000 block of S. 15th St. and W. Becher St. where they found a 1998 Chevy Malibu sought in the hit-and-run of Officer Frank Vrtochnick, 37, on Christmas Eve. Police were able to tow the heavily damaged vehicle for evidence. A rear tail light and the right side of the front windshield were broken consistant with the hit-and-run investigation. Investigators recovered hair, skin, blood, DNA and fingerprints that were found in the Malibu. A resident on Tuesday went to the District 2 police station to complain about a vehicle parked in his rented parking space. The description of the vehicle matched the vehicle sought by police in the Christmas Eve hit-and-run of an officer. A warrant and an affidavit was issued by police to recover the Malibu. They spoke with the owner of the garage where the vehicle was parked and stored. Police found that Juan C. Alvarado, 19, of Milwaukee was storing the Mailbu in the garage. He was later located in Chicago on Wednesday and Alvarado was taken into custody by Chicago police. Alvarado is facing two felony charges of first-degree reckless injury and reckless endangering safety. He will be extradited from Illinois to Milwaukee for pending charges, according to Milwaukee police. Burned victims identified by the Mexican authorities in Michoacán. Chicago, Illinois – On Tuesday, more than 400 people, including relatives and friends attended a candle light vigil for Alexis Uriel Marrón, 18, at the Rolling Meadows High School in a suburb of Chicago. Marrón who lived in Rolling Meadows was reported killed over the weekend in Mexico. Marrón’s body was found along with the bodies of Raúl Tellez Vázquez, 21, and Juan Pedro Estrada Oseguera, 24, around 7:00 a.m. inside a trunk of a burned vehicle on Christmas Eve. The victims were discovered by residents of the Comupuato Ranch vecinity in the municipality of Ixtán de los Hervores who alerted authorities. Mexican authorities say, Marrón, Vázquez and Oseguera, all from Quiringüicharo in the municipality of Ecuandureo from the state of Michoacán were burned alive. Vázquez lived in Los Angeles. Relatives say, that the men were reported missing on Friday. Marrón was traveling to a city near Guadalajara to meet up with his recent girlfriend, Jazmin Reyes, 16, who he met through the Internet. The victims never made it to see Reyes. A suspect or unknown suspects set fire to a 1997 Mercury Grand Marquis while the victims were still alive in the trunk, according to the Michoacán Attorney General’s Office. The vehicle was registered to Oseguera. Marrón was visiting his grandmother since December 3rd in Mexico during the Holiday’s. No suspects have been arrested in the horrific triple homicides. Marrón is the fourth U.S. citizen to be killed in Mexico during the Holiday’s. On December 22, Veracruz gunmen killed three U.S. citizens with dual citizenship, María Sánchez Hernández, 39, of Fort Worth, Texas and two of her daughters, Karla, 19, and Christina, 13, during a bus armed robbery. They were visiting relatives in the area. One of their cousins was also killed, as well as several other passengers when the gunmen opened fire inside the bus, according to Mexican authorities. Mexico City, Mexico – On Wednesday, Mexican Federal Police (SSP) announced the arrest of Luis Rodriguez Olivera, 39, aka, “El Güero or Lucho, Peli Rojo” also known as José Luis Sánchez Jiménez at Mexico’s City International Airport. Olivera was taken into custody on Tuesday, while trying to use identification with the name of Sánchez Jiménez, but was recognized by federal police as Olivera. He is originally from Tototián, Jalisco and had a $5 million dollar U.S. bounty for his capture. The U.S. has requested Olivera’s extradition. Olivera is wanted for operating a criminal enterprise, money laundering, possession, conspiracy of importing and distributing cocaine into the U.S.
Olivera was indicted on August 20, 2009 by a federal grand jury in the U.S. District Court Eastern District of New York. The indictment was unsealed on May 22, 2010 and Olivera was accused of transporting more than 5 kilograms into the U.S. between January 1, 1996 to June 6, 2008. If convicted, he faces up to life in prison and a forfieture of more than $50,000,000, according to the federal indictment. Olivera and his other three brothers, Esteban, Daniel, and Miguel allegedly operated a criminal organization called Los Güeritos (blondies) associated with the Pacific Cartel also known as the Sinaloa Cartel, which was run by Joaquin “El Chapo” Guzman Loera, according to Federal Police. Esteban was arrested in 2008 and extradited to the U.S. to face federal charges and Miguel was reported killed in the state of Yucatán on August 2011. Daniel remains at large, the Mexican Federal Police reported. Teens and unruly adults were arrested and cited after fights broke out at food vender area, other parts of the mall and outdoor bus routes. Bloomington, Minnesota – On Monday, Bloomington police reported the arrest of ten teenagers after disturbances and fights broke out in the food vender area at the Mall of America (MoA). Another four teenagers and an adult were also arrested and cited for disorderly conduct by Metro Transit police outside the mall and on bus routes. The brawls began inside the MoA and drew crowds, while other holiday shoppers left the scene and some exited the mall. Some of the stores in the immediate area were forced to close temperarily. At least 30 police officers from Bloomington, Metro Transit police, MoA security and Richfield Police responded to the scene shortly after 4:20 p.m. to maintain control and quell the crowds, according to Commander Mark Stehlik, Spokesperson for the Bloomington Police Department. Police issued disorderly conduct citations to more than 20 teens suspected of being involved in the melee. Unconfirmed reports indicated, teenagers managed to grab merchandise from kiosks and shoppers as they fled. But on Tuesday, no merchandise was reported stolen from stores, kiosks or shoppers during the melee, according to Stehlik. Police estimated that at least between 100 to 200 teenagers were gathered when the chaotic scene occurred. It took police about an hour to control the scene and allow shoppers back in the area. Mall officials also twitted on their MoA’s account that chairs were thrown around at the food court making it sound like gunfire, but no one was reported firing a weapon. No serious injuries were reported by police or Mall of America security. The MoA’s twitter account denied rumors that had spread in the twin cities of both rappers Drake and Lil’ Wayne were shopping or had a special appearance at Monday’s after Christmas Holiday sale events. “There is no scheduled appearance for either performer…Drake is not here…There have been a series of altercations and some stores have gone into lockdown on their own…There was no shooting, chairs were thrown in the food court resulting in the loud noise that you heard…There is no official lock down right now,” the Mall officials twitted on Monday afternoon. The MoA remained opened throughout the day and was reopened on Tuesday. The rumor about both rappers at the MoA apparently drew groups of teenagers to the mall. As a result of Monday’s melee inside the nations mega mall, security will be on alert and keeping an eye on teenagers to make sure Monday’s melee doesn’t happened again. The MoA has more than 400 stores, 50 restaurants, 7 nightclubs, 14 theaters, employs 12,000 people, gets between 35 million to 40 million visits per year and has an indoor entertainment center that includes mechanical rides for children and adults. 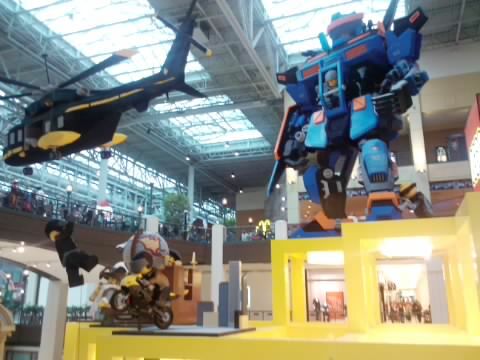 Photo of LEGO area inside the Mall of America by HNG.